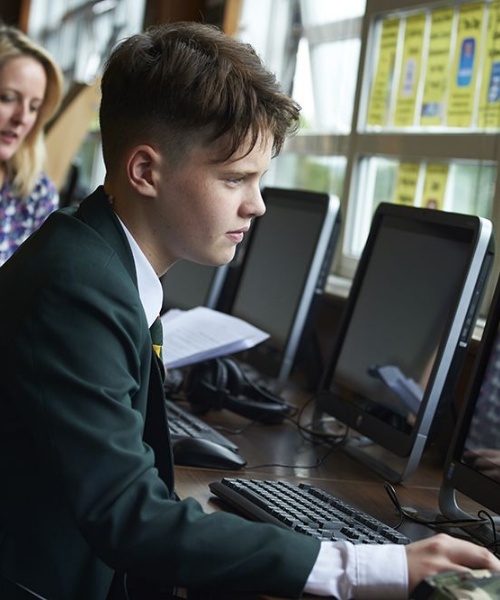 Five ways to combat fake news, from St Benedict’s Director of ICT, who says it is our responsibility to challenge, research and triangulate information being presented to us. We’ve all heard the phrase ‘Fake News’, often decrying news stories that are unflattering or unfavourable to politicians and public figures. But have you really considered how difficult it must be to be a student these days, researching and learning when you cannot be 100 percent sure that the source you’re reading is legitimate or trustworthy? Fake News is not a new phenomenon. Many of us will have been shown the 1957 Panaorama ‘Spaghetti Harvest’ programme as part of our education, or perhaps used the “DiHidrogen Oxide dangers” website as part of our teaching activities. But in recent years, the number of satire, biased or outright false news sites and sources has exponentially increased, many with names, layout and URLs all designed to fool us into thinking they are sites linked or aligned with other trustworthy sources. And we know about them, because it’s easy to see them and share them using social media and personal devices. We’ve all been there, scrolling through our social media feed, when a post pops up, shared by multiple friends, with a headline just outlandish enough to get you interested, or so outlandish your only response is to reshare. Most of the time it’s an outraged response or a wry laugh, but always with some form of visceral emotional reaction, because that is what these posts are designed to do, to get us to react, to share and increase traffic to a site and increase ad revenue, sharing the story wider…. When we see stories and memes (like Trump’s supposed 1998 “dumbest group of voters” People magazine quote) shared repeatedly and often, and many times by people we trust and respect, we don’t go through the usual fact checking we might do otherwise. For the record, Trump never did say that - we know that, because we can read the article it supposedly came from, but I bet most of your friends believe he DID say it.. When talking with many of our students, we discussed this change in how we receive news, and for many of our young adults, news isn’t something you search out, it’s something that’s fed to you. Sometimes by push notifications from sources such as the BBC, but more often, it’s given to us through social feeds, via friends or sources we have chosen to hear from. And when the sources are people we know, rather than mainstream media, we do less fact checking because of the source and we are more likely to engage with or share a false story with a sensational headline, than a legitimately sourced, fact-based headline. In the 3 months leading to the Nov 2016 Presidential election, Buzzfeed found that 8.7 MILLION Fake news stories were shared or interacted with on Facebook regarding the election. 1.5MILLION more stories than actual verified mainsteam news on the same platform in the same time. Actually, we can do what we’ve always done in ‘analogue’ research, and encourage everyone to challenge, research and triangulate the information being presented to us in social media and online sources. Sources- have you checked the initial source? Is it a legitimate site or a satire site? What else have they published? Patterns- How are similar stories presented? Is there a bias on the site or other posts? Fact Check- is it even being reported elsewhere? Sites like Snopes and Politifact are your friend. Use these sites regularly to check and debunk clickbait headlines. Triangulate- How are other sources reporting this? Can you find two other sources that verify what’s being said? Challenge- tell people when they share false stories, educate them by telling them how you know and where you found conflicting information. Fake news is not going away. It’s never really not been here, but in an ever interconnected social app world, it is far easier to share false narratives that can easily become part of an ‘understood’ truth. It is the responsibility of all of us to pause, read and challenge false online news before sharing to ensure that we don’t add more fake news to our feeds and the feeds of everyone who follows us.